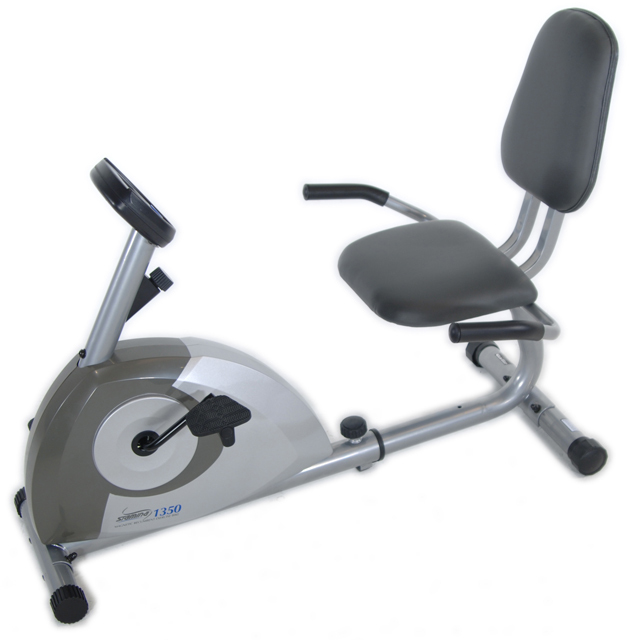 The Stamina Magnetic Recumbent 1350A Bike gives you a great cardio workout in the convenience of your home. The Stamina® Magnetic Recumbent 1350 Bike offers an excellent, enjoyable cardio workout without the need to battle traffic or the weather. Featuring a semi-reclined frame, the recumbent bike is designed to target all major muscles in the hips, thighs, and buttocks. From the slightly leaned-back position, you can comfortably work through even the most intense ride—whatever your preferred resistance level and distance goals. The quiet, stable ride makes it easy to hear your music or even catch up on your favorite TV show while toning and strengthening your body. Check your speed, distance, time, and calories burned at any point on the built-in electric monitor. Or use the convenient Scan Mode to scroll through all the motivating stats without fiddling with buttons during the ride. With the adjustable heavy-weighted flywheel resistance and belt drive train, pedaling the Stamina Magnetic Recumbent 1350 Bike remains smooth at at any resistance level. The easy-adjust tension knob lets you customize the intensity mid workout, so you can increase resistance to tackle an uphill climb. The adjustable, padded seat offers a comfortable ride while oversized foot pedals hold your feet securely in place. Our walk-through design makes getting on and off the bike safe and effortless—for a great ride from start to finish. 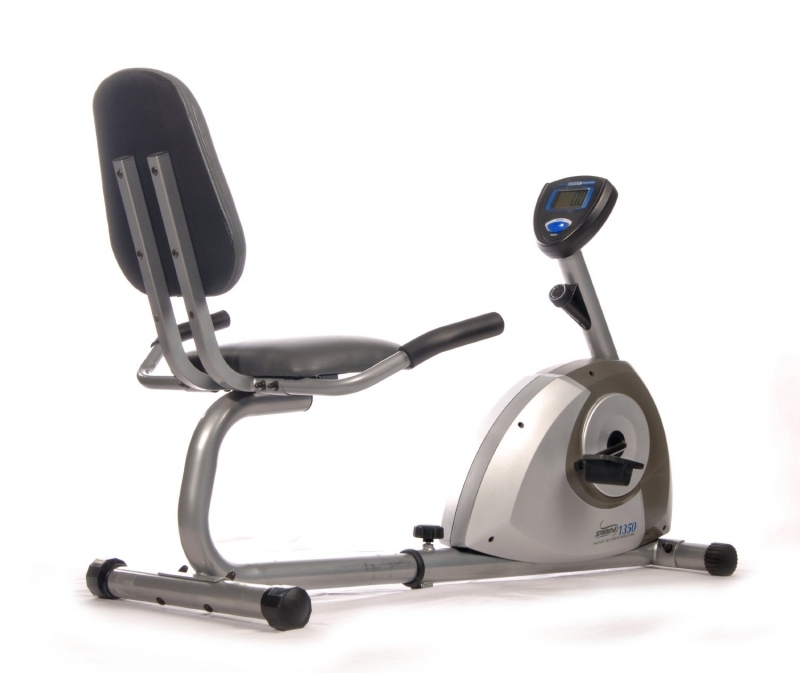 Because stationary cycling is one of the most effective low-impact aerobic exercises around, the Stamina Magnetic Recumbent 1350 Bike can actually increase your metabolism without causing extra stress on your joints. That lets you reach fitness goals faster by burning calories and fat more efficiently calorie and fat burning. 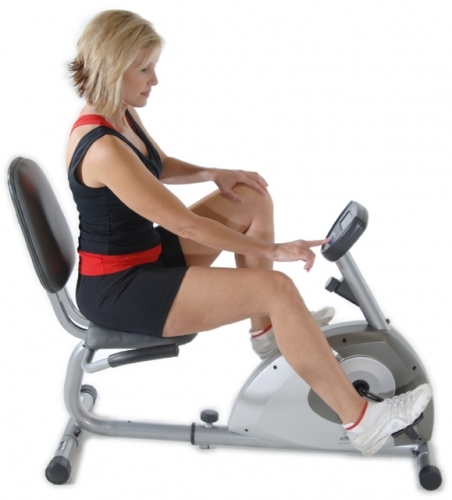 And without added risk to joints, you can put your recumbent bike to good use at nearly any stage of life. Remember, aerobic exercise is most effective if you work within your target heart rate zone, which is 70% to 85% of your maximum heart rate. Pushing yourself—safely—is great, but overdoing it is not only hazardous; it’s less impactful. For effective aerobic exercise, work within your target heart rate zone; 70% to 85% of your maximum heart rate. A heart rate monitor will give you the constant feedback you need to stay within your target heart rate zone. 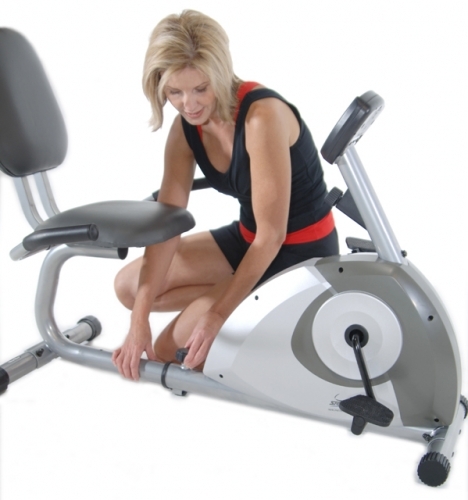 Call 1-800---875-9145 or Go to FitnessZone.com today to order your Stamina Magnetic Recumbent 1350A Exercise Bike! Recommended use: Use at home to build cardiovascular fitness and to tone hips, thighs, and buttocks. A great low-impact workout for all fitness levels. Resistance: Adjustable smooth, quiet, magnetic resistance. Comfort Elements: Padded, upholstered seat; oversized pedals. Targeted Training: Improves cardiovascular fitness, tones hips, thighs, and buttocks. 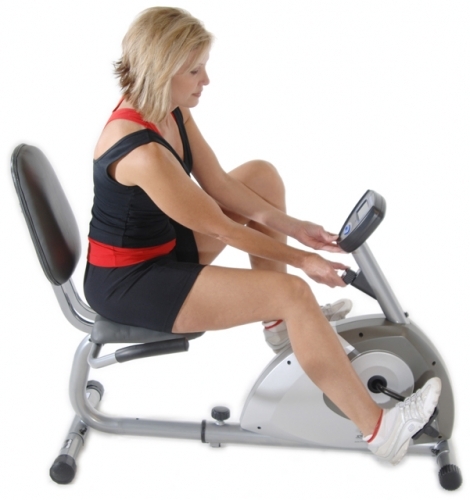 Order your Stamina Magnetic Recumbent 1350A Exercise Bike from FitnessZone.com today!